32 oz can of Loveland Aleworks beer available to go. We're now serving our to-go beer in Crowlers. These 32oz cans will be filled on site at time of order. Crowlers are single-use, recyclable containers perfect for throwing in a cooler or backpack. These cans offer several advantages over typical Growler fills. -They are purged of CO2 and mechanically sealed which keeps the beer fresher longer, leading to a sustained shelf life. -Crowler cans completely block all light, preserving the quality of the finely crafted ale, and reducing contaminants and off-flavors. -They are made from recycled materials. All of our beer will be available in 32 oz Crowlers. 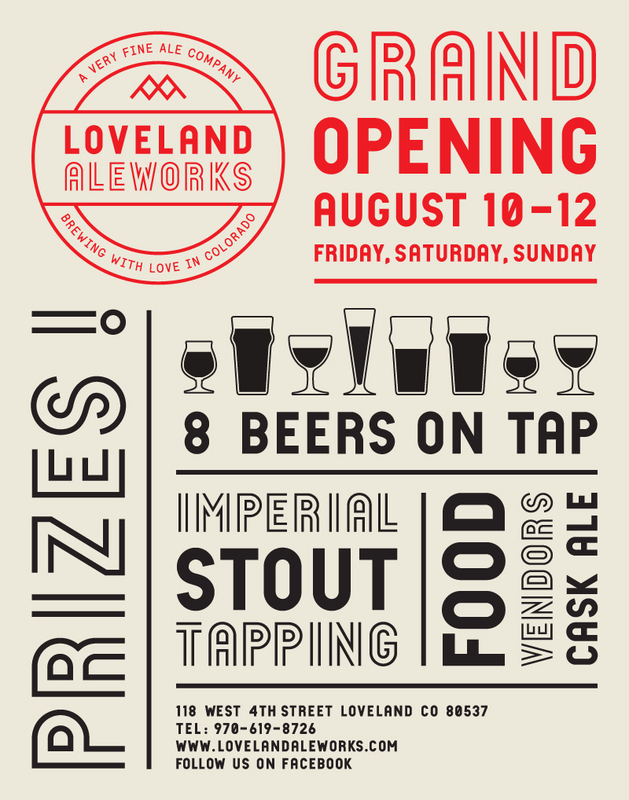 Loveland Aleworks will continue to fill clean Growlers and Growlettes.